I love container gardening, but the prices for big planters can be painful! This spring I decided to repurpose some basic 5 gallon buckets I had lying around into these cheap, charming planters. Pick your buckets & drill holes in the bottom for drainage My buckets had giant holes due to being previously used for a failed upside-down-tomato-growing experiment. 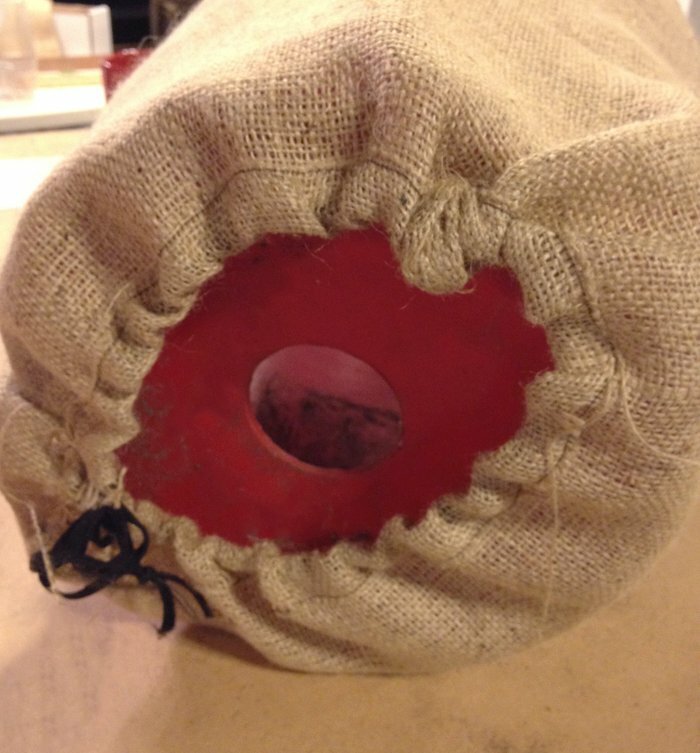 Your drainage holes don’t need to be bigger than 1/4″ in diameter- just large enough for water to drain. Sew a simple channel along the bottom of the fabric and place a cord or trim of some type into the channel and extending out either side. (we’ll use it like a drawstring to gather fabric) Next, fold rectangle in half and sew a seam from top to bottom- but don’t sew over your drawstrings! 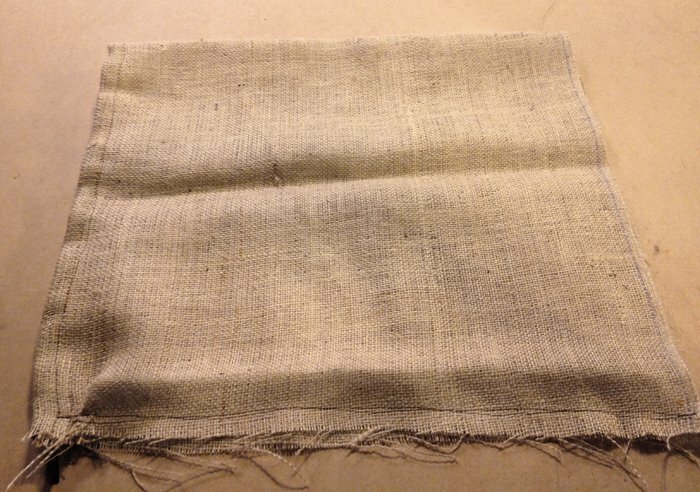 (you might want to double up and stitch another line parallel right next to it- since burlap can be a fickle fabric) Burlap will unravel extremely easily so make sure leave a large seam allowance and add a second line of stitching if you have any doubt. I whipped two out in 5 minutes. Sewing is fast and fun when the seams won’t show! 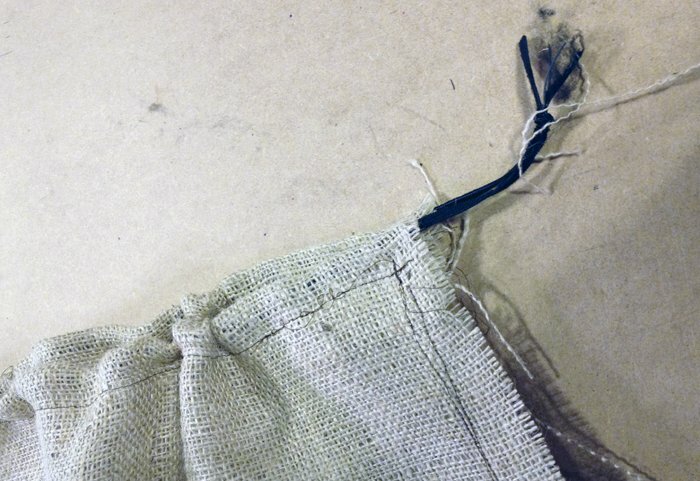 Turn your newly sewn bag inside out, gather the draw string just a little, and slip the bucket into the bag. 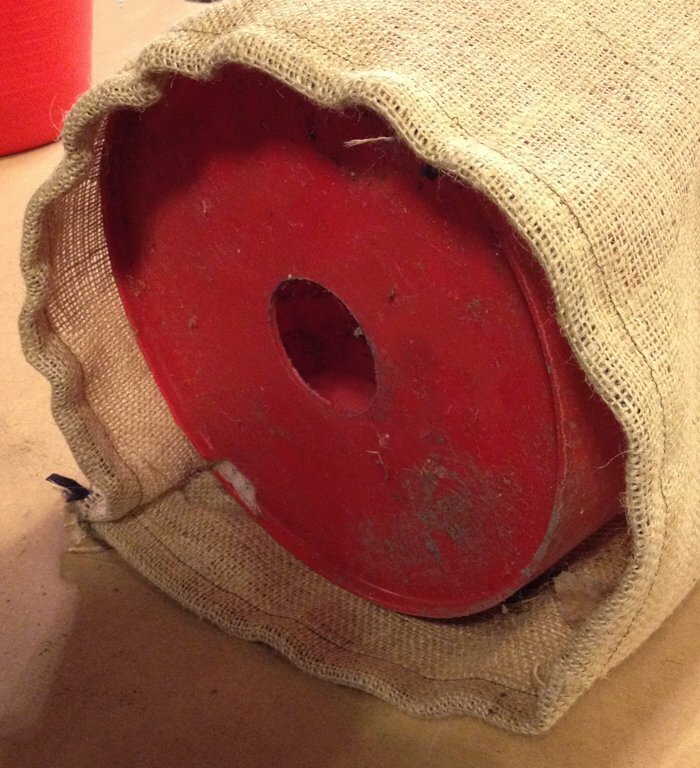 Adjust your drawstring until it gathers just enough to secure the fabric hidden underneath the bucket. You can remove the handle of your bucket with pliers at this point, but I left mine on! 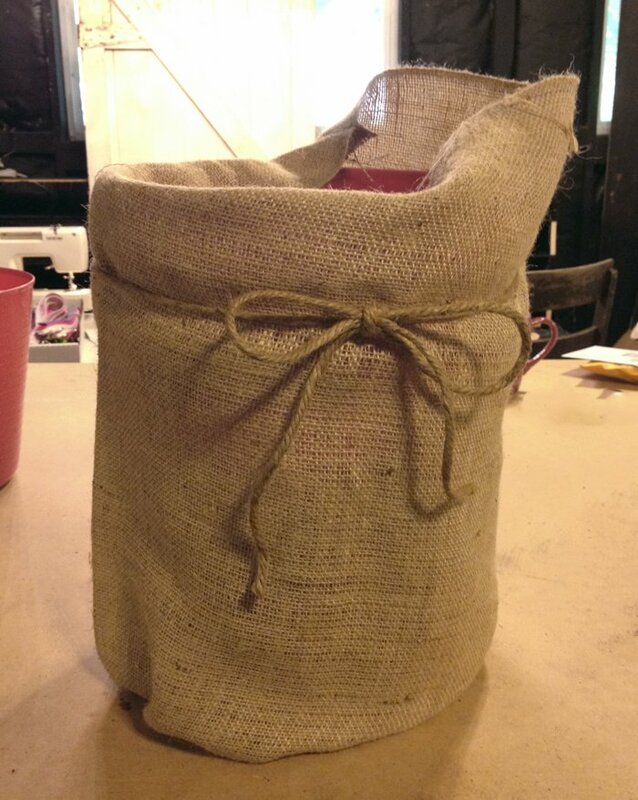 Time will tell if my burlap covered planters last more than just one season, but at a cost of under $5 ($3 for the buckets at the farm store + $1.50 for 1 1/8 yard of burlap with a coupon at Hobby Lobby) and time invested under 10 minutes each, I don’t mind repeating again next year! 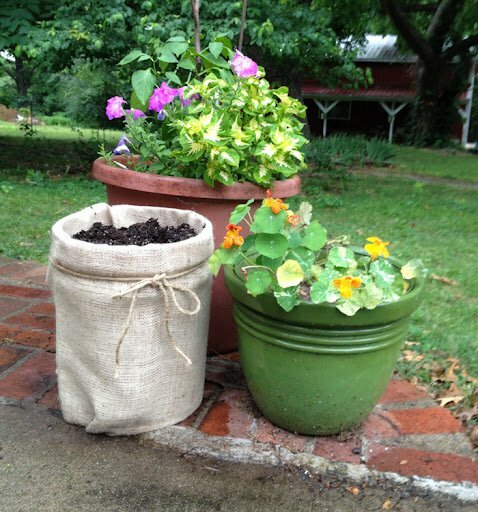 These burlap planter sleeves generally last about 1 season. I’ve made them a few springs, and by October they have begun to age and are ready to be torn away from the bucket and composted. 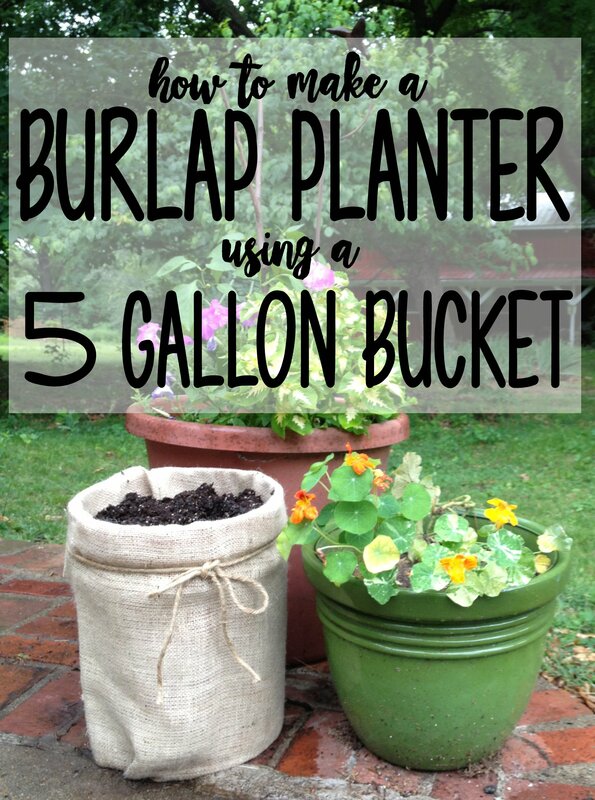 They’ve been fun and easy to make, and the 5 gallon bucket provides an interesting shape for pairing with more traditional shaped planters. What a cute idea! And thank you for the update, too!